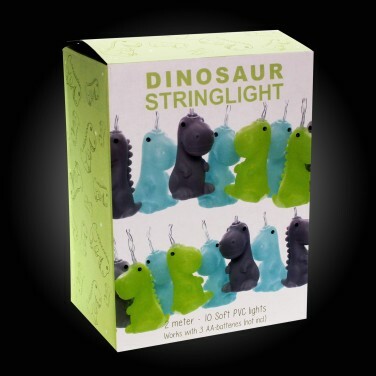 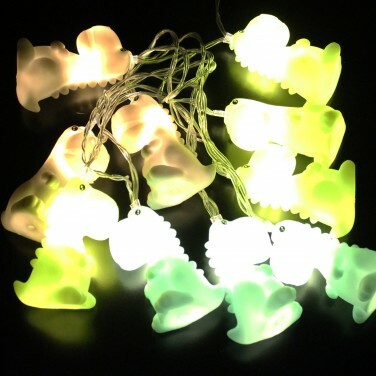 Add a warm, comforting glow to your child's room with a set of adorable dinosaur stringlights. 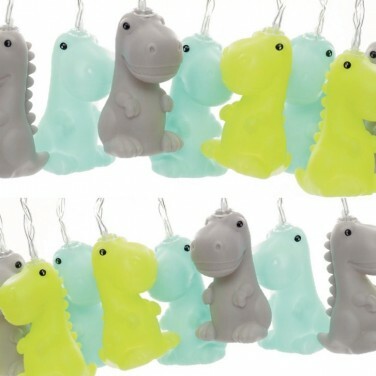 This cute set of mini dino's are lit with warm white LEDs for a gentle glow that's just bright enough to reassure little ones at night and their bright green, baby blue and grey colours and cartoon persona add character to your child's room. 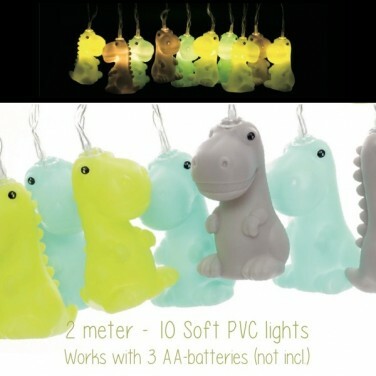 Battery operated, these soft and squidgy dinosaurs can be placed anywhere in your child's room and because they're lit with LEDs they remain cool to the touch.